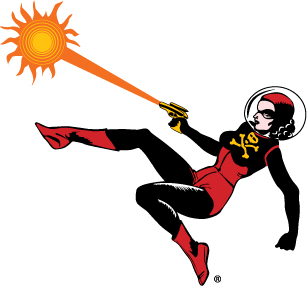 The James Tiptree Jr. Award is presented annually to works of science fiction or fantasy that explore and expand gender roles. The Tiptree Award winners, along with authors and works on the Honor List and the long list will be celebrated during Memorial Day weekend at WisCon, in Madison, Wisconsin. Eugene Fischer will attend the ceremony at WisCon, May 27-30, 2016. Pat Schmatz is unable to attend WisCon, but will be feted at an alternate celebration. (The Tiptree Award Motherboard firmly believes that you cannot have too many celebrations.) Each winner will receive $1000 in prize money, a specially commissioned piece of original artwork, and (as always) chocolate. Each year, a panel of five judges selects the Tiptree Award winner. The 2015 judges were Heather Whipple (chair), Jacqueline Gross, Alessa Hinlo, Keffy M. Kehrli, and N.A. Sulway. The Council provided descriptions of the winning works, and an honor list of recommended works. While single-gender worlds are not new in science fiction, this novella is a rare consideration of the start of such a transformation, this time by way of a sexually transmitted disease that renders the infected person’s gametes diploid. For men, the result is infertility. For women, the result is the capacity to reproduce asexually: spontaneous pregnancies (unless they take a hormonal contraceptive) of genetically identical clones. As the story guides readers through the initial outbreak via journalistic and personal lenses, a range of reactions is highlighted: legislative action, scientific study, religious outrage, and burgeoning panic. This is a timely story, given the current political climate in the United States (where the story is set) with increasingly invasive attempts to police bodies across gender lines. Kivali, the novel’s main character, gives voice to the frustration often felt by children and young adults who do not “fit” as either male or female. In this dystopian society, children are given gender tests at an early age and then trained to live as the gender they tested for. Aspects of this world — for example, post-decision gender training — speak of the lived experience of many trans people forced to earn their transition by acting as female/male as possible. The book also points out the pitfalls of a codified, binary, externally-decided approach to transgender lives, when there are always people who fall outside of these expectations. Some of the mysteries of this world remain unexplained to the reader just as they are unanswered for Kivali, who finds her independence when a sudden upheaval in her life leads to a choice of conforming or forging her own path. Susan Jane Bigelow, “Sarah’s Child” (Strange Horizons, 19 May 2014) —A story of getting to see what happened on the path not chosen and having the chance to evaluate whether the original choice was the right one. Sarah dreams of the child she cannot bear in her assigned-male-at-birth body and struggles with her deep sense of grief. In a parallel universe, Sarah’s son has an alternate mother, a woman born with a womb, but without the strength to come out to her family. Sarah and June—two women with the same identity, albeit in different bodies—each learn from the other how to be a more courageous version of themselves. Nino Cipri, “The Shape of My Name” (Tor.com, 4 March 2015) —This quiet story of trans identity is tender and beautifully written, but does not pull its punches in terms of the personal hypocrisies of the characters, the compromises they make, or the ways that cruelty and pain are tied to the riskiness of love (and time travel). The relationship between the viewpoint character and their mother, in particular, is beautifully (if painfully) nuanced. Carola Dibbell, The Only Ones (Two Dollar Radio, 2015) — Told from the point of view of a young woman supporting herself through medical experimentation, the novel is thoughtful and astute in the way it explores the nexus of social and economic power with technology, racism, and sexism. It has important things to say about the way that institutions treat women’s bodies as resources, exploiting them for economic and political gain, and about the ways in which desperate and disempowered women are forced into dangerous collaborations with their oppressors. Matt Fraction (writer) and Christian Ward (artist), ODY-C, Vol. 1: Off to Far Ithicaa (Image, 2015) — It’s the aftermath of a galactic war and instead of Odysseus, we have Odyssia and her crew. This is not the first time Homer’s Odyssey has been retold; the gods are still as meddlesome and trying as ever and the heroine’s journey home is still set to take years. What compels readers to return is the combination of non-linear storytelling and arresting visuals that complement the gender-flipped characters and their struggles against cosmic forces greater than themselves. Alex Marshall, A Crown for Cold Silver (Orbit. 2015) — A rollicking epic adventure. The appealing older female main character clearly has issues beyond just dealing with whomever is trying to kill her. The extended (and extensive) cast slowly wind their way through this world to band together. This novel upends most of the usual gender tropes one would find in the sprawling fantasy category, with women as likely as men to be in any particular role, and sexuality not particularly defining of anything except who you’re attracted to. Seanan McGuire, “Each to Each” (Lightspeed, June 2014, Women Destroy Science Fiction!) — A post-humanist analogy of weaponized femininity, where essentialist notions of gender are deployed by a patriarchal military structure looking for the perfect soldier in a particular niche. The unintended result is a women-centered subculture with the power and opportunity to strike out on their own, for those with the inclination and independence to trade some of the trappings of humanity for that freedom. It’s a fascinating, nuanced, and furious exploration of a range of ideas around women and beauty, the military, body modification, and loyalty. A Merc Rustad, “How to Become a Robot in 12 Easy Steps” (Scigentasy, March 2014) — A poignant and wry account of a person’s experience of mental illness and body dysmorphia that manages to weave together their experiences of depression, neuroatypicality, asexuality, and their desire for (and to become) a robot. The light but genuinely touching and hopeful ending balances the emotional and mental struggles they live through on the way. Ian Sales, All That Outer Space Allows (Whippleshield, 2015) — This novel postulates an alternate 1960s America where science fiction is written and read almost exclusively by women, even though the space race is still a male-dominated field. In addition to serving as a meditation of what this means to a woman science fiction writer who is married to an astronaut in that alternate world, the book also reminds us of the women writers of our past through the main character’s fictional correspondence with her real science fiction writer contemporaries. Taneka Stotts and Sfé Monster, editors, Beyond: The Queer Sci-Fi and Fantasy Comic Anthology (Beyond Press, 2015) — A wide-ranging and entertaining collection of comics with queer characters, in which readers meet intentional and found families, dragon slayers, adventurers of all stripes, and robots deciding who they are going to be. Rebecca Sugar (creator and executive producer), Steven Universe (Cartoon Network, 2013-15) — In the context of children’s television, this show deals with gender in a much more open and mature way than is typical for the genre, and has some of the best writing of any cartoon. Steven is a boy who is kind, caring, and whose magical skill (which he has inherited from his late mother) is that of protection. In addition to showing men and women who do not necessarily conform to standard American gender ideals, the show also gives us an agender/non-binary character and a thoughtful exploration of growing up through Steven and his friend Connie. Catherynne M. Valente, Radiance (Tor, 2015) — Set in an alternate solar system in which life thrives on every planet, where space travel is relatively easy, and where patent laws have restricted most films to remain silent, Radiance tells the story of a filmmaker who vanished during principal photography of her last film. Reading like a documentary in novel form, the book is written as transcripts, scenes from the woman’s own films, and fictionalized accounts of her life as told by her father (both before and after her loss). Radiance explores a universe in which film did not abandon women along with title cards. In addition to the honor list, this year’s jury also compiled a long list of more than thirty other works they found worthy of attention. A complete list with publication information can be found at on the Tiptree website at http://tiptree.org/news. Reading for 2016 will soon begin. The panel consists of Jeanne Gomoll (chair), Aimee Bahng, James Fox, Roxane Samer, and Deb Taber. The Tiptree Award invites everyone to recommend works for the award. In 2015, we had twice as many recommendations as in 2014. You can submit recommendations via the recommendation page of Tiptree Award website. On the website, you can also donate to help fund the award and read more about works it has honored and past winners. (Asimov’s Science Fiction, April/May 2015) and Pat Schmatz for her novel, Lizard Radio (Candlewick 2015). The James Tiptree Jr. Award is presented annually to works of science fiction or fantasy that explore and expand gender roles. The award seeks out work that is thought-provoking, imaginative, and perhaps even infuriating. It is intended to reward those writers who are bold enough to contemplate shifts and changes in gender roles, a fundamental aspect of any society. 2015 was a particularly good year for gender exploration in science fiction and fantasy. In addition to the honor list, this year’s jury also compiled a long list of more than thirty other works they found worthy of attention. A complete list with publication information can be found at on the Tiptree website at http://tiptree.org/news. The Tiptree Award winners, along with authors and works on the Honor List and the long list will be celebrated during Memorial Day weekend at WisCon in Madison, Wisconsin. Eugene Fischer will attend the ceremony at WisCon, May 27-30, 2016. Pat Schmatz is unable to attend WisCon, but will be feted at an alternate celebration. (The Tiptree Award Motherboard firmly believes that you cannot have too many celebrations.) Each winner will receive $1000 in prize money, a specially commissioned piece of original artwork, and (as always) chocolate. The Tiptree Award invites everyone to recommend works for the award. In 2015, we had twice as many recommendations as in 2014. This is a trend we’d like to continue. Please submit recommendations via the recommendation page of Tiptree Award website. On the website, you can also donate to help fund the award and read more about works it has honored and past winners. Since its inception, the Tiptree Award has been an award with an attitude. As a political statement, as a means of involving people at the grassroots level, as an excuse to eat cookies, and as an attempt to strike the proper ironic note, the award has been financed through bake sales held at science fiction conventions across the United States, as well as in England and Australia. Fundraising efforts have included auctions conducted by stand-up comic and award-winning writer Ellen Klages, the sale of t-shirts and aprons created by collage artist and silk screener Freddie Baer, and the publication of four anthologies of award winners and honor-listed stories. The anthologies are in print and, along with two cookbooks featuring recipes and anecdotes by science fiction writers and fans, The Tiptree Quilt Story, and other Tiptree-related publications, can be purchased through www.tiptree.org. In addition to presenting the Tiptree Award annually, the James Tiptree, Jr. Literary Award Council presents two annual $500 fellowships to provide support and recognition for the new voices who are making visible the forces that are changing our view of gender today. The Council also occasionally presents the Fairy Godmother Award, a special award in honor of Angela Carter. Described as a “mini, mini, mini, mini MacArthur award,” the Fairy Godmother Award strikes without warning, providing a financial boost to a deserving writer in need of assistance to continue creating material that matches the goals of the Tiptree Award. This entry was posted in Awards and tagged Tiptree Award, Wiscon by Mike Glyer. Bookmark the permalink. “The New Mother” sounds like a story I very much want to read. Some of the others on the Honors List sound promising as well. “The New Mother”? Seriously? That was terrible. Anything else would have been better. “Each to Each” was indeed, quite a fierce and intelligent story. I don’t quite get the enthusiasm for “The Shape of My Name”, which I found simply dull, but that’s on me; tastes vary. I’m on the side of those who do like “The New Mother”. And I even thought the ending was appropriate: open, with an ambiguously hopeful tone. I liked the characters, but I guess I can see why some people wouldn’t. A well-done extrapolation of the personal and societal implications if a bacterium could do to humans what Wolbachia does to insects (maybe not possible, but plausible enough for fiction). I have read through Beyond, too; nothing particularly mind-blowing in it, but some of the contributions were pretty fun or pretty moving. Here’s to the day that queer characters will be all over all sorts of comics.